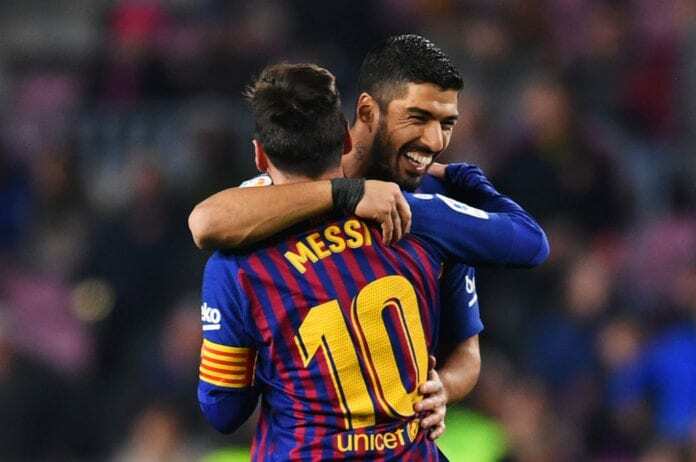 In an excerpt from an interview with Diario Sport, Luis Suarez opened up about the very close friendship he has with Lionel Messi at FC Barcelona. When Luis Suarez first arrived at FC Barcelona, nobody imagined that he would develop such an intimate friendship with Lionel Messi. The Argentine player had the fame of being a very shy individual and he had a very tight group of friends, but Luis’ arrival meant that the star needed to open up a little bit more and they quickly found a feeling that has already transcended the football pitch. From the very first training session that Messi had alongside Suarez, you could tell that these two shared a special kind of connection and the results on the pitch were a direct consequence of this new found bond the two players shared. One could not be more different than the other, Luis is more of an extrovert while Messi almost looks like he has a rare form of autism, that is also recognized as “Asperger’s”. But the Argentine needed a person like Luis to express himself better, they have become inseparable and they are even considered brothers because they share their time even with their families. Before Suarez arrived in Barcelona, Messi had a number of players who spent time with him outside of the club but they all eventually left. 🗣 "La gente ve a Messi pero yo veo a mi amigo"
It is well-known that Lionel Messi and Cesc Fabregas keep a very close relationship despite living in different countries, the Argentine shared the youth academy with the AS Monaco player and their wives are actually best friends. Before Cesc, Messi had goalkeeper Pinto who looked more like his bodyguard than his friend. Now there is Suarez and the family life that we see them develop almost together, they both take their kids to the same school and they both love watching their sons play football every weekend. Making friends must be very difficult for a famous person like Messi, which is why having Luis Suarez alongside him at the moment must be a real treat for him. Neymar also shared a special bond with both players but the Brazilian decided to leave Barcelona and left the duo to develop their friendship alone, although he does visit them every chance he gets because they remain very close despite being hundreds of miles apart from each other. When you take a look at the way both players get along, the camaraderie is frankly impossible to hide for both of them and Suarez explained it in a recent interview. While talking to Diario Sport in a fragment of an interview that will be out on Friday this week, the Uruguay international revealed details of his very unique friendship with Lionel Messi. The striker talks about the differences between how the rest of the world sees Messi, and how the Argentine will always remain Leo for him. They are both from South American countries that share a border and have very similar characteristics, one could say that they were destined to get along. “We talk about everything really, we don’t only talk about football but we also talk about the past or the future because we are two human beings that besides playing football together, we are really good friends,” said Luis on a fragment of the interview. “I don’t see him like the Messi that everybody sees inside the pitch, that’s why we keep spending time together everyday,” he concluded. What do you think about Lionel Messi’s unique relationship with Luis Suarez? Please share your opinion in the comment section down below.